Labour North West will be hosting their annual Regional Conference in Southport later this year. The conference is an opportunity for top politicians and party members to spend the weekend debating and discussing the big issues of the day. Southport Theatre and Convention Centre (STCC) is a great venue that provides the perfect setting to host such a large delegation. The annual event gets bigger and better every year and Labour North West expect over 600 visitors to attend the event which runs over a weekend in November. 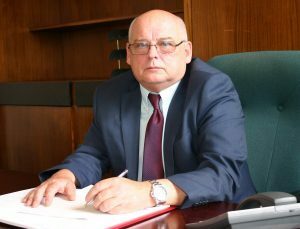 Cllr Ian Maher, Labour Leader of Sefton Council, said: “The fact the Labour NW Regional Conference is being held in Southport this year is great news for the town and the whole borough. “The Southport Theatre & Convention Centre offers superb modern facilities within a stunning setting overlooking the Marine Lake and is the ideal choice for an event of this calibre. “Southport itself has a wealth of attractions for the conference delegates should they have any free time including some fabulous bars and restaurants and lots of independent retailers. 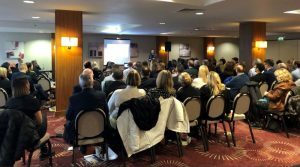 Over 100 local businesses, regional property agents, investors, and other stakeholders with an interest in taking Southport forward were brought together last week by Southport BID. 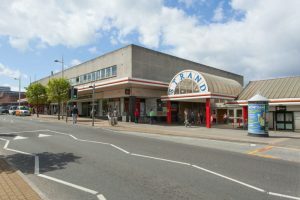 Southport has been hit hard, not helped by recent announcements of further store closures, and the town will take time to recover. However, the event was designed to focus on the positives, the investment that’s already happened, and the millions of pounds that could potentially come to the town from funding applications already in the pipeline and from private sector investors. Speakers at the event included the Metro Mayor, Steve Rotheram, and members of his investment team; Sarah Kemp, Executive Director, Sefton Council; Caroline Baker from property specialists Cushman Wakefield; Dr Steve Millington from The BID Foundation; and Agsteribbe from Bliss Investments. “It’s clear that Southport, our town, is experiencing the same sort of issues that are facing many other towns and cities across the country. So, we’re not alone in having to face up to some really significant challenges. “Our speakers consistently highlighted the big advantages that helps set us apart from our competitors. Our reputation as a significant coastal destination is increasing year on year (as demonstrated by the annual rise in visitor numbers). We have some unique assets in our town. “We’ve already seen a lot of investment in our town. And we have dedicated partners from both the private and public sector who are determined to get things done. “There is evidence from around the UK that those areas with BIDs in place are more successful in attracting external funding because it demonstrates a strong partnership between the private and public sectors and a willingness to work together”. Delegates raised the issue of parking and the need for more flexibility in setting tariffs. Improving east – west transport links and doing more to increase residential living in the town centre were also highlighted. Rob Uffendell continued: “Southport was described as a speciality town with plenty of opportunities for development. “Attracting investment is hard work as was made clear by our speakers. All of them were clear on one thing: there are huge opportunities for this town but to get it right we need to demonstrate confidence and pride in what we have. “That said, many of the solutions raised at the event have been talked about for years. If we’re going to take this town forward and make things happen, it’s time for action and not words”. The Sefton Parent Carer Forum have announced plans for their 2019 AGM and Moving Forward event next month. 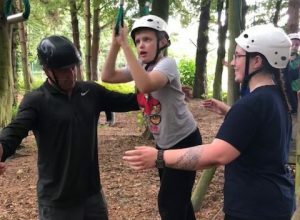 an evaluation of Special Education Needs and Disability services in Sefton, to find out what needs to change as a result of the recent SEN review. and feedback your views on how Sefton can move forward. To book your free place, email seftonparentcarerforum@gmail.com or alternatively call us on 07541 326860. Sefton Council have commissioned researchers at Edge Hill University to undertake an evaluation of Special Education Needs and Disability services in the borough. The evaluation, funded by Sefton’s Clinical Commissioning Groups, will involve a sample of parents and carers with children and young people who have SEND and will help shape and improve the services Sefton can offer. Key partners including schools, and health and care services will also be asked to give their views in the evaluation. The results will then be used to inform policy, strategy, prioritisation and development of activities and services related to the needs of young people aged under 25 years with a special educational need or disability. Cllr John Joseph Kelly, Sefton Council’s Cabinet Member for Children, Schools & Safeguarding, said: “We have asked Edge Hill University to help us better understand Special Education Needs and Disability provision throughout Sefton. “This is a very important project to undertake and we need parents and carers who are involved to give their views, both good and bad, so that we can positively shape how we deliver and develop services in the future. Participation in the evaluation is completely voluntary and those who contribute will be given complete anonymity. The evaluation is expected to be completed before April and a final report will be shared widely and posted on the local offer. To find out more email public.health@sefton.gov.uk. Visitors to Bootle Strand Shopping Centre will soon be able to enjoy free ping pong in between their shopping sprees. A pop up Ping Pong Parlour, set up by Active Sefton in conjunction with Table Tennis England and Bootle Strand, will officially open on Wednesday February 13 for all to enjoy. The parlour can be found on the shopping centre’s Palatine level and will be open during normal shopping hours and Active Sefton’ experts will also be running free coaching sessions throughout the year. Cllr Ian Moncur, Sefton Council’s Cabinet Member for Health and Wellbeing, said: “This is a fantastic and exciting addition to The Strand and we encourage everyone to drop in to play on one of the two table tennis tables we have. “Simply grab a bat and play – absolutely free of charge! 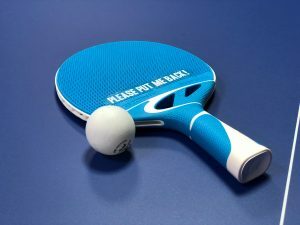 “Through our incredible Active Sefton offer we have teamed up with Table Tennis England, the sport’s national governing body, as well as Bootle Strand Shopping Centre to offer this innovative and fun free service. To find out more about the Bootle Strand Ping Pong Parlour or for more information on all that the shopping centre has to offer, visit www.strandshoppingcentre.com.